K-W Property Management Corp Presents: Located at Upper-169 Benton St. in Downtown Kitchener! 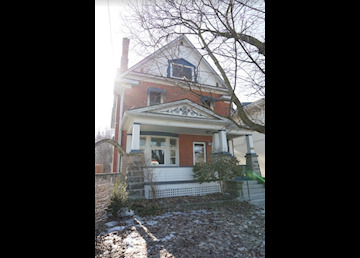 Renovated Century Home Apartment in the Heart of Downtown Kitchener! •	3 Bedrooms •	1 Bathroom •	3 Stainless steel appliances (fridge, stove and dishwasher) •	Eat in kitchen with deck •	Quartz counter-tops •	Spacious loft perfect for an in home studio with deck •	Stunning claw foot tub •	Rustic hardwood throughout •	Garage with automatic opener •	1 car parking •	Coin-op laundry •	A/C This gorgeously renovated upper floor apartment is minutes away from Victoria Park, Google, Communitech, the Transportation Hub, and so much more! Don’t miss out, book your viewing today! Available NOW! $1845.00 plus gas and hydro! *Non-smoking* K-W Property Management Corp www.kwproperty.com To book an appointment check our online calendar for upcoming showings http://kwproperty.com/calendar.asp. If you do not find a suitable showing time, please email us your availability and we will book you a time to see the unit.